What do you do when you get bored and have nothing to do? I used to jump from my bed and laptop to go to theatre for some movies to watch. However, since I'm living in the middle of nowhere rightnow with impossible access to theatre (5 hours by car, duh), doesn't mean that I don't have WatchList, though yeah... That list, perhaps, will always be a wish to watch. Well, there is always a way to the theatre though surely 5 hours by car still not worth doing. But, never mind, no matter what, in this post I will try to write about my TOP 10 WatchList in 2013. Perhaps, just perhaps this list will inspire you somehow, I don't know, once again, just perhaps. Why The Philosophers? Because it is a kind of fantasy thriller movie. Honestly, I'm a fantasy freak and philosophy always attracts my interest. Furthermore, Bonnie Wright will take place as a main role, surely you know her, right? Since she has been crushing on Harry Potter since the very beginning of the series. She kinds of an inspiration for me, that you should not give up for love but you have to make sure to grow beautiful in the end. will play the role of Utami in the movie since the setting of the movie took place in one of the international schools in Jakarta, Indonesia and the students are supposed to be from some different nationalities. It doesn't mean like I'm a big fan of her or what, not really, but because she is an Indonesian, I am an Indonesian and not everyday Indonesian girl gets a role in a Hollywood movie. Though I don't suggest you to hear her singing (She has album by the way) but she is a freaking genius, smart girl who graduated with honor and rules a kind of charity foundation. Yeah, I kind of like her but definitely not her singing ability. However, there is no further information yet about the release date of the movie though Imdb.com has stated that the movie is completely produced. Wooaaa... I clearly remember that I have posted something about The Hunger Games movie last year and it is just like yesterday but now The Hunger Games: Catching Fires is coming out. Well, for you who have read the books, surely you would not miss the movie. Unlike the other fantasy novels that are adapted into motion picture, The Hunger Games the movie is trying its best to stick on the plot which is similar to the book. I cannot say whether The Hunger Games: Catching Fires will do the same as the previous movie but still we could hope for the best. 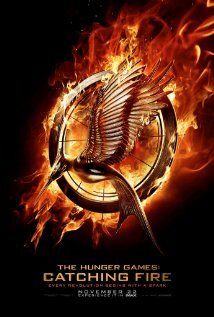 The latest update stated that this movie will be release around 22 November 2013 and then will be followed by The Mocking Jay Part 1 (2014) and then The Mocking Jay Part 2 (2015). Really, big thanks to Harry Potter which introduced this kind of 'annoyed part' thing, so you need one year to finish watching one movie. Another Stephenie Meyer novel is turned into motion picture. Well, the first thing that appears in my mind once I read The Host the movie will be coming out is whether Meyer will appear as a cameo again, just like what she did in Twilight or not? I don't know, it's kind of 'Shyamalan's thing' to appear as an insignificant cameo in his own movie, the different is when I watch M. Night Shyamalam appears as a cameo in his own movie, especially The Village, I thought it kind of cool but when it comes to Meyer, well I don't know, it's like opportunisim, sorry to say that. However, The Host is a cool novel, kind of creepy sometime but I truly love it, and surely I cannot wait until the movie is really coming out in motion picture. All fantasy freaks do feel that way. So, 29 March 2013 will be the release date of The Host the movie and you have to make sure to save your date for that. Percy Jackson and the Lightning Thief was totally a waste of time. I don't like the movie because it was soooooo different with the novel. So, why I put Percy Jackson: The Sea of Monsters as my watchlist this year? Well, because Logan Lerman. Oh my Gooddd... he is just so hot and cute and whatever, I love him though I hate his movie. Besides, I'm a big fan of Rick Riordan. He is freaking genius history teacher, I want to be like him one day... one way day, which I don't when, you know as a famous fantasy novel writer, I wish. So, yeah, I have to make sure that I will be in the theater when the movie is released and according to Imdb.com, 16 August 2013 is going to be Percy Jackson: The Sea of Monsters' release date. I honestly trully madly deeply in love with Robert Downey Jr. since Kiss Kiss Bang Bang. 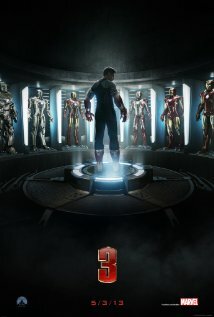 Besides, Iron Man 1 and 2 were breath taking and I just wish the same with The Iron Man 3, that is why I would not miss this movie either. As usual, Tony Starks will have new villain and this time, he should face the Mandarin. I don't know who the Mandarin is, but I'm sure if I met him in a street market or somewhere I will punch him rightly on the face and then run away. Well, don't worry about the Mandarin, we will find out about him once The Iron Man 3 is released on 3 May 2013. Actually, I have a big crush on Mr. Downey Jr but I fully realize he is just too old for me but I still remember in Iron Man 1, there is a magazine with Young Tony Starks as the cover. Gosh, he is just super super super hot in that masculine suit. Have you watched the Warm Bodies trailer? Gosh... I think it is going to be the weirdest romantic comedy movie which ever be released for Valentine's Day, ever. It is weird because it is romantic comedy movie as well as horror movie; a zombie falls in love with a beautiful human girl. Well, don't you dare to think Warm Bodies a bit like Twilight Saga, because it is definitely different, completely different. Though, I don't know from some hidden reasons why Teresa Palmer is chosen to be the lead role because in my opinion, she is the blond version of Kristen Stewart. So, what is the different with Twilight Saga then? Just like Teresa Palmer is the blond version of Kristen Stewart, Warm Bodies is the warmer version of TWilight; it is a bit comical with some dark and wit humor included, and unlike Twilight Saga this movie is only produced in one part; which is very refreshing. 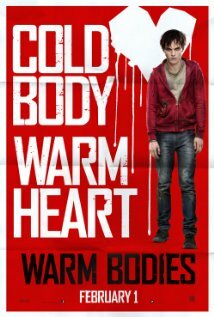 Gosh, just can't wait for 1 February 2013 for Warm Bodies release date. Perhaps, I could go watching the movie with my date. For you who don't have one, well don't worry, you still have exactly 1 month to find a date before the Valentine's Day. I fell in love rightly to the movie once I watched the trailer. Mike and Sulley never stand for each others but in University of Fear they are locked together so they could overcome their differences and become best friends. Pixar Animation Studio and Walt Disney Picture is once again bringing back a refreshing story among the list of big movies of 2013. It is quite simple for a story but, once again, don't judge a book from it's cover. 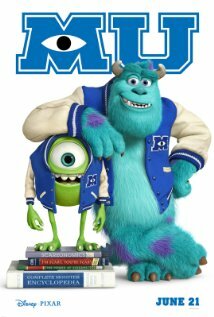 You must be surprised that the collaboration of Pixar and Disney this time will be as firm as Mike and Sulley in the end of the movie.So, save your date for Monster University on 21 June 2013. Because of Disney and Pixar, cartoon movie is shifted from kid stuff into anyone stuff. Started from Toy Story, for me Toy Story is a legend, furthermore when 3D effect is found. Unfortunately for me, I have to leave my nerdiness for a while by replacing my eyeglasses with contacts for 3D eyeglasses. But still, it's worth doing. Well, aside from Warm Bodies, The Big Wedding is also a romantic comedy movies which are supposed to be on your wish list this year. Unfortunately, the release date of The Big Wedding will be on 26 April 2013 instead of in February. However, never mind, I don't care whether this movie is for Valentine's Day or not but I think I will like this movie because of actresses and actors who will take role in the movie. Lets say, Diane Keaton, Robert de Niro, Robin Williams and Susan Sarandon for the seniors and then Amanda Seyfried from Letters to Juliet and then the handsome Prince Caspian Ben Barnes from Narnia, the girl with 27 Dresses Katherine Heigl and then Topher Grace who once to be a villain in Spiderman. Besides, the movie poster is a kind of poster that a romantic comedy movie should have; just simply lovely. Honestly, unlike the other movies adapted from fantasy novels or series, I don't really excited when The Mortal Instruments: City of Bones was announced to be released because I don't read the book. And why I put this movie in my watch wish list is only because of Lily Collins; that's it. I'm her big fans by the way since Abduction though until now I haven't watch Mirror Mirror which is quite ashame for a big fan of Lily Collins. Well, don't blame me but blame wherever latitude and longitude where I currently live right now which forces me to drive five hours just to reach the nearest theater. 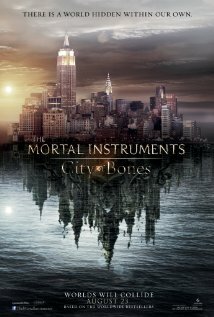 Imdb.com stated that The Mortal Instruments: City of Bones will be relased on 23 August 2013. I don't think that driving five hours for the movie is worth doing, but the DVD is totally worth waiting for. Well furthermore, perhaps nothing that is wrong to start reading the book before the movie is released. Here comes the last but not least movie on my watch wish list of 2013; After Earth by M. Night Shyamalan. Well, I cannot say I'm a big fan of this Indian director but all I know is I watch almost all of his movies and I like them all, even Lady in the Water which I though of a bit weird. I don't blame him for The Last Airbender because though the movie is much gloomier than the cartoon and I am a bit disappointed for watching it but I don't blame him, I just can't because it is really him, the way the movie made is totally like the way he made all of his movies. 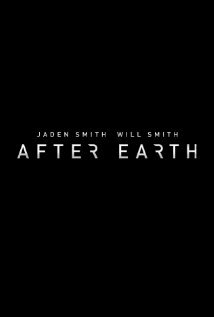 After Earth is totally in my watchlist this 2013 because there will be duo Smiths, Will Smith and Jaden Smith that after a crash landing explore a planet which 1,000 years ago left by human; a planet called Earth. The very first thing I notice from the trailer is this sentence "Dangerous is real but fear is a choice". Surely you will watch a movie that has this kind of conversation, won't you? Well, still we still need to wait until 7 June 2013 when After Earth is released to make some opinions. Those are my Top Ten Watchlist in 2013. Surely you cannot make any opinion before you watch the movie but you are very welcome to comment in this post or perhaps making suggestions about more movies to add or watchlist you make yourself. Happy New Year...!! I know it is just too late for it now but never mind, because 2013 is going to be another important year for us. Have you made resolutions or wish list? Well, I have resolutions and I have wish list and I don't want to share them all with you because in the end we both know that none of those resolutions we made up will turn into something significant. However, there are several wishes I want to share to you like, I wish Meg Cabot's The Mediator Series will be turned into motion picture which is somehow impossible, I wish my novel will be published this year which is well... I don't know since it is just a wish, but I really wish that The Philisophers is finally coming out this year. Imdb.com stated that the movie has been completed but there is no further information about the release date of The Philosophers. 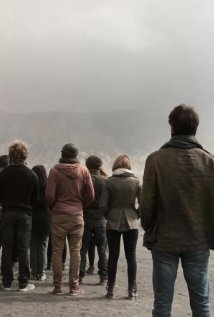 The movie is about a philosophy teacher who challanges his class to choose which ten of them would take shelter underground and reboot the human race in the event of a nuclear apocalypse. The movie is taken place in an international school in Jakarta which is somehow really refereshing since I'm an Indonesian and surely I'm so proud that Hollywood Movie is actually produced in this country. The school is consisting of several students from different nationalities that is why lucky for Cinta Laura Kiehl; an Indonesian actress who takes place as one of the roles in the movie as Utami who will play along with Bonnie Wright who well-known as Ginnie Weasley in Harry Potter who will be the lead role as Georgina. John Huddles will take the Director and Writer chairs while Goerge Zakk and Cybill Lui will be the producer. Bonnie Wright and Freddie Stroma are two raising stars from Harry Potter will take important roles in this movie as Georgina and Jack. I think this movie will be really cool because as a fantasy movie freak I know that fantasy thriller movie kinds of something I will always look forward too. Besides, some cool actress and actors will take parts in the movie and not to mention where the movie is taken place is quite interesting as well. So, make sure you open your eyes widely and place your ears rightly for any updates of The Philosophers 2013 because I've been waiting for the The Philosphers trailer as well which is not coming out yet. Once you found something, please please please please please... let me know, okay.